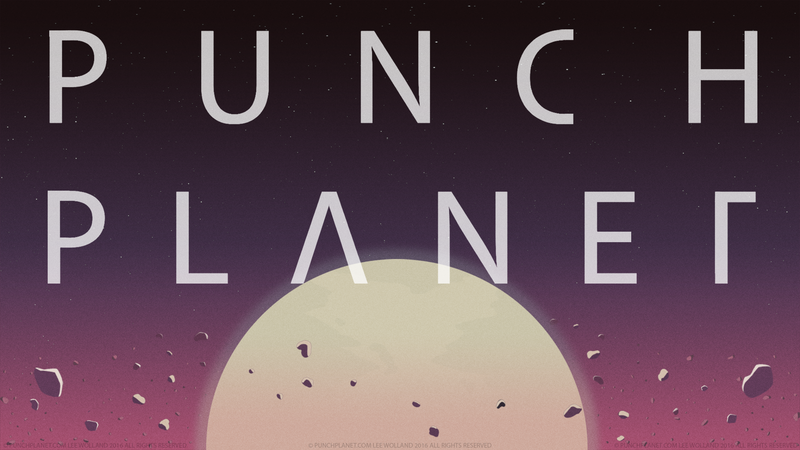 Hey everyone, we just launched the website for our fighting game project Punch Planet and wanted to make a thread here on skullheart for feedback and discussion. We're looking to greenlight pretty soon so any low hanging fruit feedback is especially appreciated! ShepardOfire, Peterthegameguy, Shockdingo and 4 others like this. So this is what the Double-Tap Engine was for? Might just be my preference, but I would like the laser beams to be thicker so they're more easily visible? Good call. FX in general still needs a ton of work but getting that laser feeling beefy should probably be at top priority. I love that you have a character simply named "Dog". Hits n' blocking definitely need more of an oomph to em. Punch Planet is a 10/10 name though. That is always gameplay priority #1 and not an easy task. The hit FX getting actual animations will help this immensely. My artist will be pleased :D, the name has been kinda hit and miss with some people. I'm bothered that a flash game shows up before this game on google. Fumako and willpower like this. It's great :D Good luck man. I'm gonna be iterating on this quick video format with changes in the future, at the very least a weekly upload but possibly daily depending on how fast I can get the process down. Edit: Getting some match footage tonight as well. Wow this is really nice looking man. My hat's off to the Artist. And the engine you built is also really tight. I remember a couple of months popping into your Double Tapp Thread. I really like the DTC mechanics that it's something that recharges over time and it can be used to extend combos allow for mixups and even a counter if you read your opponent correctly. It's simple and yet it has multiple uses making it a much deeper mechanic than just a plain old FADC. Yeah. If I get the chance I would really like to tear into this game break it down and give you guys feedback. shoot i really want to get my hands on this as soon as possible. again gimme. gimme gimme gimme. Did some iteration on our current actual stage today, mostly lighting changes and camera color correction stuff. Also some animation system and collision system improvements under the hood. i mean the lighting by itself is really good, i just feel it detracts from the style just a tad. so maybe with a tiny bit of tweaking you can get a mix of both. out of sheer curiosity, have you tried using cell shading on the project? Yeah we've done quite a bit of experimenting with the character shader and lighting setups in the past, it was semi cell shaded at one point. It's looking really close now to how the artist wants it and I'm liking it quite a bit personally, so if it's gonna be changed it'll come from him. oh crud you guys stream. around what time/ day do you guys usually do so? Don't really have a set schedule or anything, that was the first stream we've done. I'm gonna do more in the future but not sure if I'm gonna lock it down to a regular thing or not.